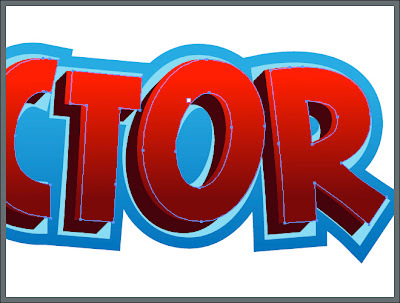 If a real cereal logo designer happens by here, please give us insights! I am using a Mac, and in this tutorial I will add shortcut commands, such as (cmd-F) for Paste in Front. PC users just substitute (ctrl) for (cmd) in most cases. 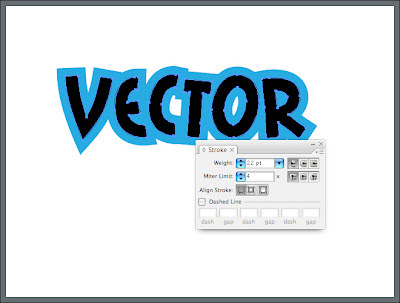 Using your new font, type out the name of your product. 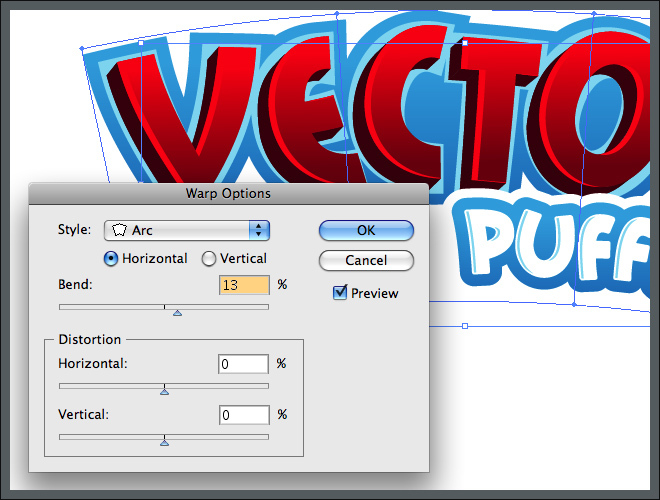 In the Menu, go Type > Create Outlines. Right-click the text and select Ungroup (cmd-G). Using the Selection Tool(V) rotate, nudge and reposition each letter just slightly, to make the text look more active. 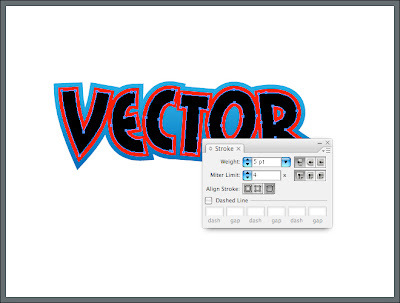 Select the letters and group them up again by right-clicking > Group or (cmd-G). Copy it, and Paste Behind (cmd-B). Using the Stroke Palette, give it a big stroke, any color, and aligned to the center. Lock the original text for now, by selecting it and going Object > Lock > Lock Selection or (cmd-2). Draw shapes to fill in the open areas. 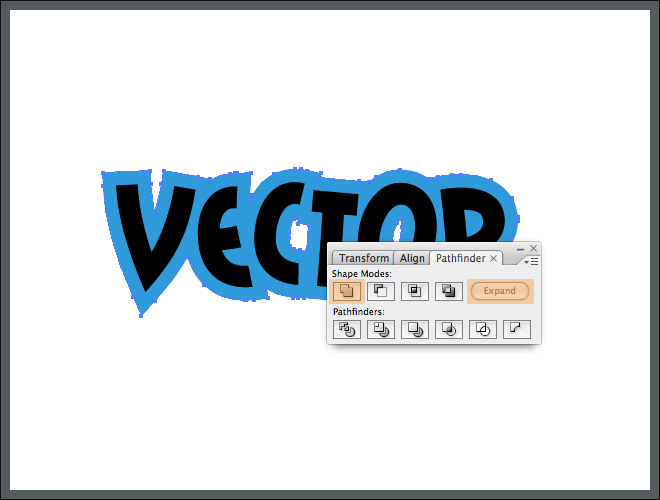 Select them and the outline shape and choose again Add to Shape Area from the Pathfinder Palette. Make sure nothing is selected (click on an empty area of the stage). Double-click the fill color icon in the Tools Palette, and enter a light blue color #29ABE2. Drag the color from the Tools Palette into the color Swatches Palette so we have it for later. Repeat, adding a darker blue #0071BC to the Swatches Palette. Select the plaque (can I just call it that now? mkthx). Activate the Gradient Palette, and drag the light blue swatch from the Swatches Palette onto the left side of the gradient, and the dark blue onto the right. 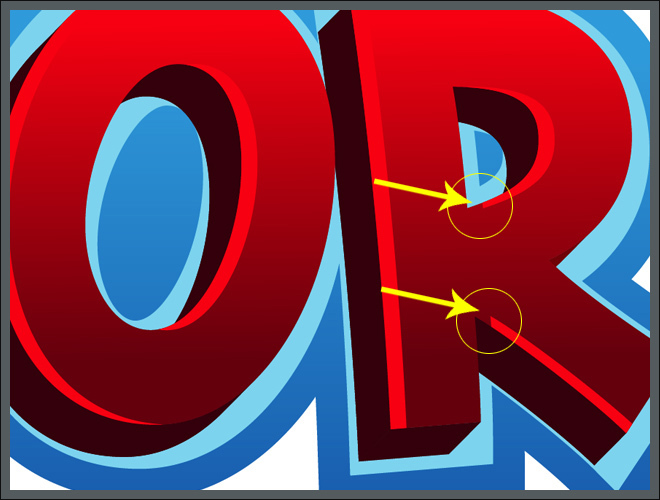 Using the Gradient Tool(G) drag from the plaque top to bottom, to perfect your gradient. Using the Stroke Palette, give it a stroke of any color besides black, so you can see it (I used red). Aligned to outside is fine. Go Object > Lock > Lock Selection (cmd-2) on the original black text again, to preserve it for later. 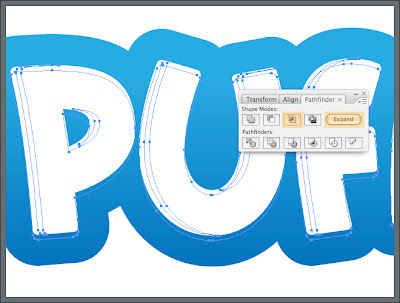 Select the outlined text and go Object > Expand Appearance, checking fill and stroke in the dialogue. In the Pathfinder Palette, choose Add to Shape Area, like we did for the plaque. Fill it with a light blue #88DBF2 (drag this color into your Swatches Palette to save it). Step 8: Make the Text 3D! Unlock the original text Object > Unlock All (cmd-option-2) to select it, and fill it with any color for now, I chose red. Choose options similar to the following, feel free to play around here, making sure to check Preview to see what you’re doing. Right click > Ungroup (cmd-shift-G). That will separate each letter block. We want to get at just the face of each letter though, so select all the letters again and right click > Ungroup once more. Select all the pieces of the letters besides the faces. Zoom in and make sure you get them all; there might be some that are hard to see. Grouping them will cause them to move in front of the letter faces, so right click > Send Backward (cmd-left bracket) to place them back where they were. Copy the letter faces (only) and Paste in Front (cmd-F). Nudge the copied faces to the right a few (2) taps. 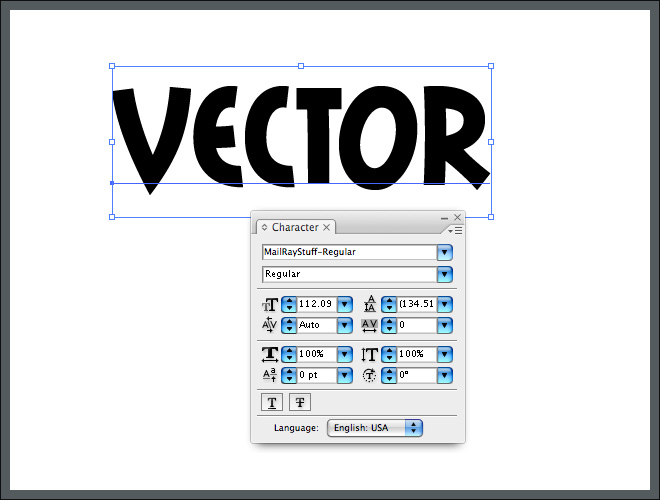 Select both sets of letter faces and in the Pathfinder Palette choose Subtract from Shape Area, then Expand. Aack! where did my text go? Don’t worry, It’s still on your clipboard so just Paste Behind (cmd-B). Select your highlights and fill them with our bright red #FF0000. Pretty close but not quite done! With the Direct Selection Tool (Y) select the points of any awkward highlights and adjust them to line up correctly. 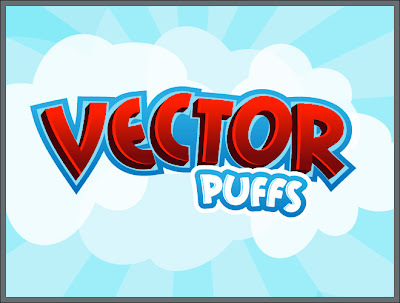 Type the word “Puffs” using the same font. go Type > Create Outlines. 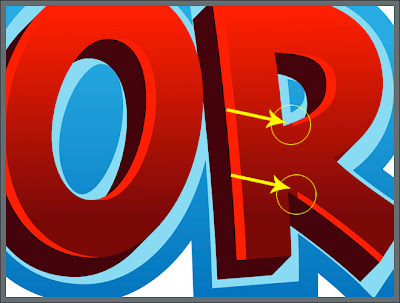 Rotate, nudge and reposition each letter. Group the letters up again, Copy and Paste Behind (cmd-B). Lock the PUFFS text on top (cmd-2). Give it a big stroke, any color for now. Align the stroke to the outside and make it big enough to fill the inside. 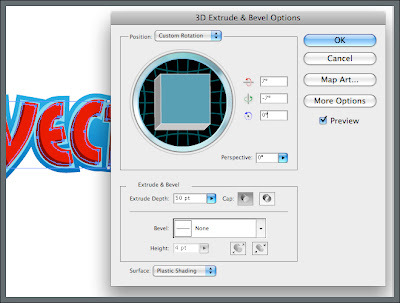 Go Object > Expand Appearance, right click > Ungroup, and in the Pathfinder Palette choose Add to Shape Area, then Expand, like we did for the first plaque. Choose the eyedropper tool (I) and click the other plaque to copy its gradient colors. 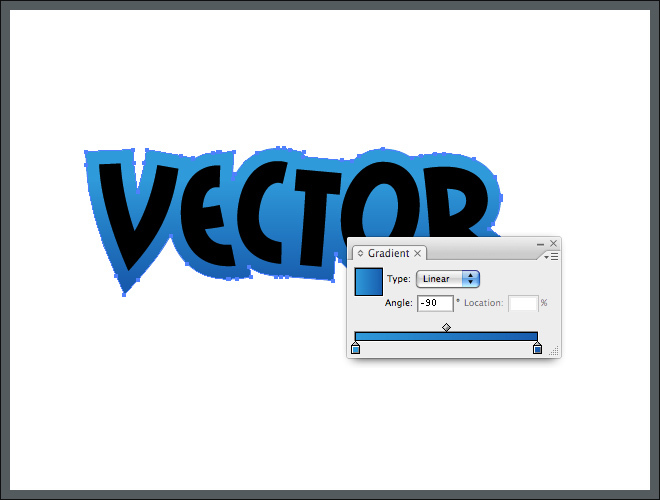 Use the Gradient Tool (G) to adjust the gradient to your liking. Unlock the text. Object > Unlock All (cmd-option-2). Then do our familiar step: Object > Expand Appearance, right click > Ungroup, and in the Pathfinder Palette choose Add to Shape Area, then Expand. Copy your new PUFFS shape and Paste in Front (cmd-F). Nudge it to the right one or two taps. Caution: when you nudge the word over it may overlap the letter to its right. 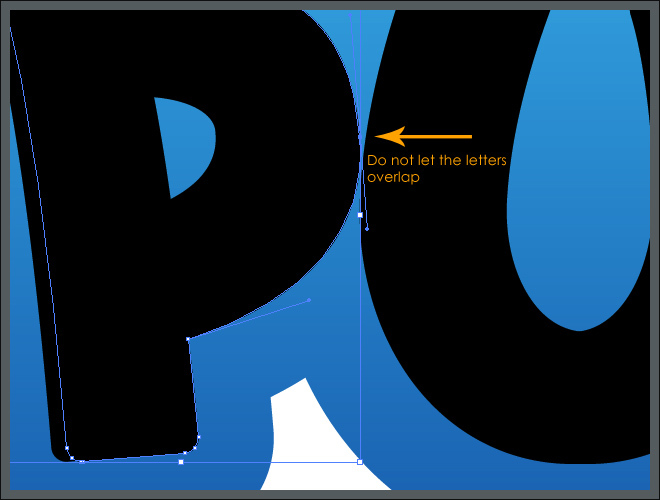 Use the Direct Selection Tool (Y) to adjust the shape on top so it doesn’t overlap. 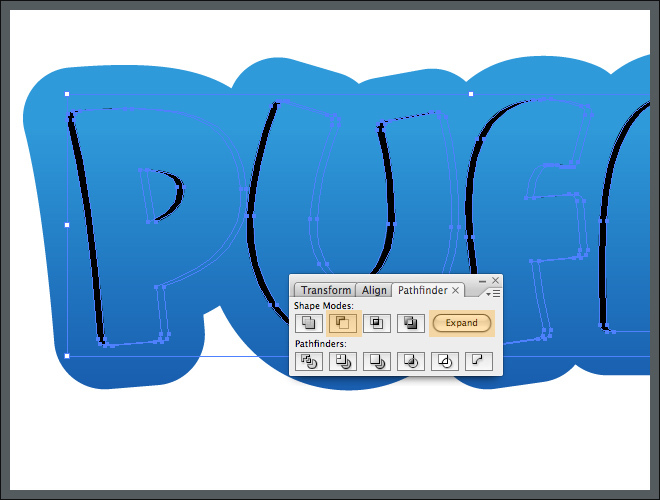 Select both PUFFS shapes and in the Pathfinder Palette select Subtract from Shape area, then Expand. Use the Direct Selection Tool to delete any little straggling pieces. Nudge the highlights over to the right one tap. 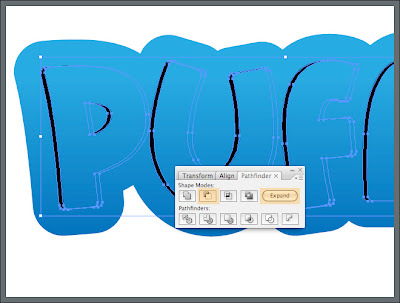 Copy the PUFFS text and Paste in Front (cmd-F), then Right-Click > Arrange > Bring to Front (cmd-shift-right bracket). 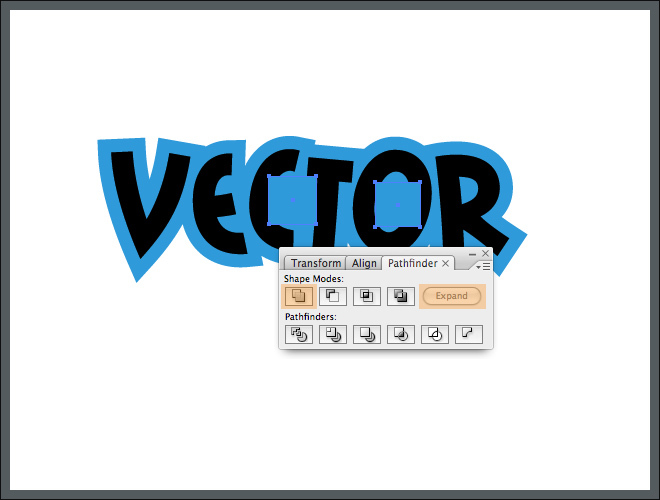 Select the text and the highlights and in the Pathfinder Palette chooseIntersect Shape Areas, then Expand. Copy the PUFFS text again and Paste in Front (cmd-F), then bring it to the front. Nudge the text up one tap this time. Select the text and the highlights and in the Pathfinder Palette choose Intersect Shape Areas, then Expand. 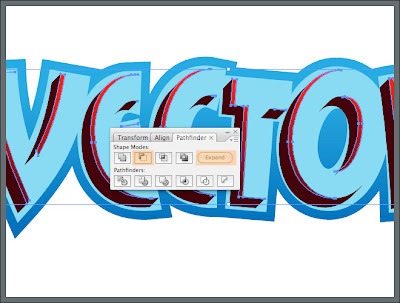 Now you can color your finished bevel effect with the light blue #88DBF2. Select the blue plaque behind PUFFS and give it a white stroke, aligned to the outside, and about 5pt. Position PUFFS the way you like under your logo. When you are happy with the logo so far, select both words and go Object > Warp > Make with Warp and give it an Arc with about a 13% Bend, like the image below. Make sure to check Preview to see your changes. Go ahead and add some background elements if you like. I made some clouds and rays but I encourage you to come up with your own! Thanks for following my tutorial! I hope you learned lots from this. How did you like this tutorial? Was it easy to follow? Tough to follow? Did I screw anything up? Your feedback is gold! This tutorial is so cool & dandy!!! Is incomplete and the background ??? It's a fabulous post.Nice explanation.Thank you so much. If you want to learn about Graphics Design, open-tutor.com is the best platform for you. 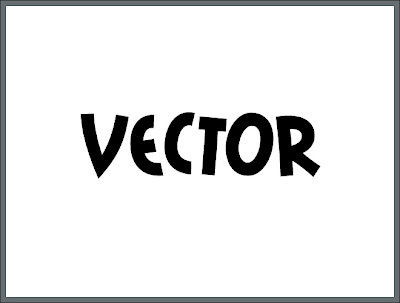 It provides online graphic design, Adobe Photoshop and Illustrator Tutorials for beat career building. Open-tutor.com also offer latest update of Jobs Circular in Bangladesh. Visit open-tutor.com for more details and updates. This instructional exercise truly enable me.Before to peruse this instructional exercise I am attempt do this however I can't see yet after observe this instructional exercises now I am satisfied.It is extremely enlightening about. Wonderful tutorial and a lot of learn hare. Thanks for share this post.